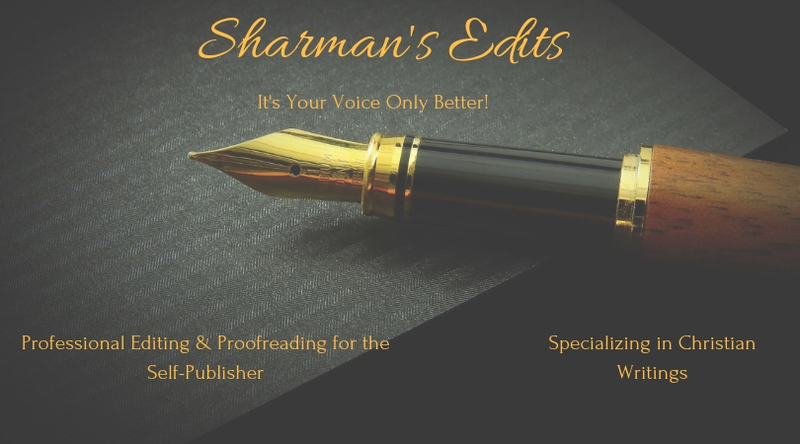 Testimonial – Sharman's Edits: It's Your Voice Only Better! She was so pleasant. Especially to a first time writer filled with insecurities. Her gift from God to not just write but love who she’s working with, seeps through her responses and resonates with who she’s in contact with. I’m so happy to have my first book read and edited by Sharman. If you’re looking for someone to not just edit, but keep your voice and clean up your story. 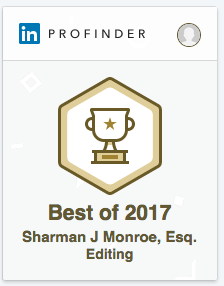 Sharman’s keen eye to detail and love for writing, especially if you’re a new author and have a background to work with someone for a love of God. You can’t ever go wrong with Sharman!